Where to find your favourite Disney stars. From the peaks of Frontierland to the pirates of Adventureland, Disneyland is a legend of its own and has its own mythology separate from the Disney studio productions — but make no mistake, one of its biggest draws remains the chance to see those favourite characters and locations brought to life. 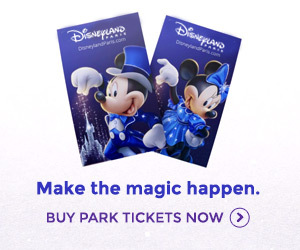 Disney parks are the only ones where you'll see the real Captain Jack Sparrow, swim with Nemo and friends, have a royal encounter with all the greatest fairytale Princesses and see movie icons in three true dimensions. Fantasyland, Disneyland Park. Scene featuring the Dwarf's mine and cottage. Fantasyland, Disneyland Park. Snow White makes meet 'n' greet appearances. Fantasyland, Disneyland Park. Scene featuring Pinocchio and Monstro the whale. Parade Disney Magic on Parade! Disneyland Park. Parade float with characters. Fantasyland, Disneyland Park. Scenes from Night on Bald Mountain and Mount Olympus. Fantasyland, Disneyland Park. Based on Mount Olympus segment. Toon Studio, Walt Disney Studios Park. Based inside the Sorcerer's Hat. Disneyland Park. One float features Chernabog. Front Lot, Walt Disney Studios Park. Centrepiece of Places des Frères Lumière. Toon Studio, Walt Disney Studios Park. Features Sorcerer Mickey and the giant Sorcerer's Hat. American National Park-themed rooms feature a light nod to Bambi. Fantasyland, Disneyland Park. Based on Mickey and the Beanstalk short. Fantasyland, Disneyland Park. Based on The Wind in the Willows. Fantasyland, Disneyland Park. Cinderella makes meet 'n' greet appearances. Fantasyland, Disneyland Park. Within the courtyard of Auberge de Cendrillon. Fantasyland, Disneyland Park. On the corner of Auberge de Cendrillon. Adventureland, Disneyland Park. Featuring Skull Rock and Captain Hook's Pirate Ship. Central Plaza, Disneyland Park. Scenes based on the film, show hosted by Peter and Wendy. Fantasyland, Disneyland Park. Aurora sometimes makes meet 'n' greet appearances. Fantasyland, Disneyland Park. Centrepiece of the Castle Courtyard. Previously used for special ceremony shows where children attempt to pull the sword from the stone. Central Plaza, Disneyland Park. Scene based on the film. Fantasyland, Disneyland Park. Characters sometimes make appearances. Fantasyland, Disneyland Park. Scene featuring Prince Eric's castle. Fantasyland, Disneyland Park. Ariel sometimes makes meet 'n' greet appearances. Fantasyland, Disneyland Park. Scene featuring Belle's village and the Beast's castle. Fantasyland, Disneyland Park. Belle sometimes makes meet 'n' greet appearances. Toon Studio, Walt Disney Studios Park. Scene based on the film. Fantasyland, Disneyland Park. Scene featuring the Cave of Wonders. Production Courtyard, Walt Disney Studios Park. Central Plaza, Disneyland Park. Scene based on Dr Facilier. Fantasyland, Disneyland Park. Rapunzel sometimes makes meet 'n' greet appearances. Fantasyland, Disneyland Park. Character meet 'n' greet location. Fantasyland, Disneyland Park. Seasonal stage show. Fantasyland, Disneyland Park. Seasonal cavalcade featuring Anna and Elsa in a horse-drawn carriage. Toon Studio, Walt Disney Studios Park. Entire land themed to Andy's back yard within Toon Studio. Toon Studio, Walt Disney Studios Park. Ride based on Green Army Men within Toy Story Playland. Toon Studio, Walt Disney Studios Park. Ride based on Slinky Dog within Toy Story Playland. Toon Studio, Walt Disney Studios Park. Ride based on RC and Hot Wheels within Toy Story Playland. Discoveryland, Disneyland Park. Astronomy-themed shop sells Buzz Lightyear merchandise. Toon Studio, Walt Disney Studios Park. Photo location featuring Boo's door and permanent Mike Wazowski with scheduled appearances by live Sulley, plus interactive Scream Monitors. Fantasyland, Disneyland Park. Scene featuring Sulley's roar. Backlot, Walt Disney Studios Park. Features special appearance by Lighting McQueen. Toon Studio, Walt Disney Studios Park. Small-scale film set of facades from the film. New Mexico-themed rooms and landscaping feature small nods to Cars. Toon Studio, Walt Disney Studios Park. Small Parisian area development with hidden Ratatouille nods. Discoveryland, Disneyland Park. Life-size figures between Videopolis and Space Mountain. Frontierland, Disneyland Park (No longer operating). Hotel lightly based on Davy Crockett series. Fantasyland, Disneyland Park. Scene featuring Step in Time musical number. Front Lot, Walt Disney Studios Park. Raised above guests in the gas station section of the Disney Studio 1 store. Discoveryland, Disneyland Park. Giant dirigible at the entrance to Videopolis. Frontierland, Disneyland Park. Film was based on the The Haunted Mansion attraction series. Adventureland, Disneyland Park. Film was based on this attraction. The attraction features no direct references to the movie or its characters (until Summer 2017). Adventureland, Disneyland Park. Based within the Pirates of the Caribbean attraction, occasionally features appearances by Captain Jack Sparrow. Backlot, Walt Disney Studios Park. Features a room inspired by the films. Central Plaza, Disneyland Park. Scene based on the films. Discoveryland, Disneyland Park (coming Spring 2017). Fantasyland, Disneyland Park. Scene featuring Darth Vador and Stormtroopers. Videopolis Theatre, Discoveryland, Disneyland Park. Seasonal show enlisting young Padawans. Disneyland Park & Walt Disney Studios Park. Seasonal event each winter. Production Courtyard, Walt Disney Studios Park. Nighttime projection show during Season of the Force. Production Courtyard, Walt Disney Studios Park. Character show during Season of the Force. Walt Disney Studios Park. Stormtrooper event during Season of the Force. Backlot, Walt Disney Studios Park. Permanent character meet 'n' greet attraction. Attraction Disney Junior Live on Stage! Plus many more impromptu encounters! Most of the attractions, restaurants, boutiques and features in this listing are permanent places to find your favourite Disney characters, but don't forget the countless impromptu Character Meet 'n' Greets across the resort each day featuring a huge and varied variety of Disney stars!